Recognized by UNESCO as World Heritage Site since 2001, the Douro Region is the oldest Wine Demarcated Region in the world, stretching through an area of more than 40 000 hectares. In a one day wine tour you will have the opportunity to visit some of its more charming wine estates where Port and Douro wines are produced, where you will enjoy different wine experiences and end your day with a relaxing cruise in the Douro River. The following prices in the table received a € 20 discount. Cancellation: until 30 days prior to the date of the tour: it will be charged a 2,50% fee on the total amount of the reservation. Cancellation with less than 30 days prior to the tour date: it will be charged a cancellation fee of 100% of the total amount. In the event of heavy rain at the time of the Douro River Cruise, the sailboat will be replaced by a motor boat with a cabin which provides all the conditions for a nice cruise. You will visit Quinta da Pacheca. One of the most well-known properties of the Douro Valley, stands out for having been the first to bottle wine under its own brand.The first reference to the Quinta is in a document dated of the 17thApril 1738, where it is called "the Pacheca" because its owner was then D. Mariana Pacheco Pereira. But it was only in 1903 that D. José Freire de Serpa Pimentel decided to develop his growing interest in oenology, acquiring the property in order to devote himself to the wine production. A guided visit where you will have the opportunity to know the history, as well as the wine-making processes of the wines of Pacheca and a wine tasting. After the wine experience you will enjoy lunch at the The Wine House Hotel that offers a touch of luxury and gourmet and a search for constant quality, while keeping the true essence of the traditional Portuguese cuisine. Always prepared with fresh products of the land, the restaurant dishes are a real temptation.The quality of this cuisine, famous throughout the Douro region, makes the restaurant of Quinta da Pacheca the Ex-libris of the estate, a warm and relaxing place with a view over the Douro and the vine terraces, completed by the comfort of typical fireplace. As the tour continues, it is impossible to be indifferent to Quinta do Seixo. Quinta do Seixo is located in Cima-Corgo, in the heart of the Douro Region, a UNESCO World Heritage Site. Following the Douro river from Régua to Pinhão, you can easily discover this old Quinta of the 17th century and its cellar of contemporary design. The view from Quinta do Seixo is breathtaking throughout the year, in a constant change of colour and light. A magnificent landscape, shaped by man in shale terraces, a surprising contrast with the brightness of the Douro river and the view of the picturesque village of Pinhão nearby. The vineyard, with over 100 years, is a true heritage of many traditional Douro grape varieties that still resist to the most harsh conditions and temperatures, producing unique and top quality wines. Guided visit to the winery, Wine Cellar and Robotic Lagares. Tasting of two Porto Wines in a contemporary room and a magnificent terrace with one of the best views over the Douro River and the landscape. After the visit, you will enjoy a relaxing moment with a sailing cruise in the Douro River, while you taste Porto wine. Depart, on a exclusive basis, aboard the sailing ship Libertu's for the discovery of the territory that the river has carved and men sculpted man, a region that was the source of compelling values for the humanity. Anew way of discovering Douro, an region of heritage, landscapes and wines that are unique in the world. Aboard the sailing ship Libertu's live moments of intimacy with the nature while you travel with emotion along the history until the times when therabelosboats moved by the force of the sails.Libertu's is a 10, 5 meters (34 ft.) Dehler sailing ship with a 14 meters (45 ft.) mast and with a maximum capacity for 12 people and is luxuriously equipped with 2 rooms, a lounge area, kitchen and toilet. The Private driver will drop you off at Porto (private Driver option). 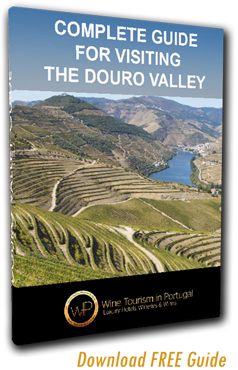 Do you want to learn more about Douro? 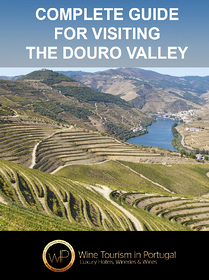 A complete guide for visiting Douro!